← MTX Hosts a Folk Show! About a month and a half ago we spotted a really cool van out in our parking lot. 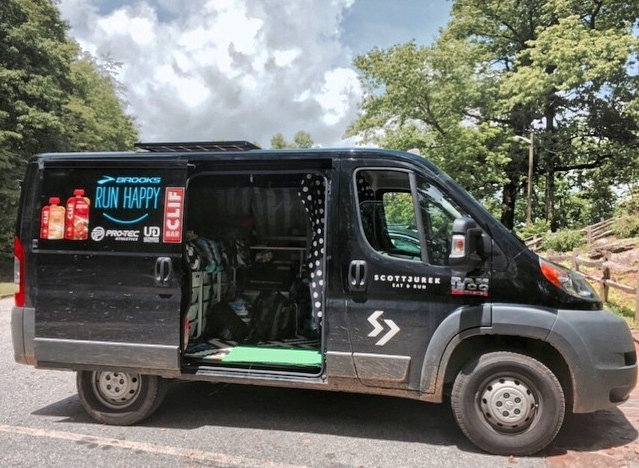 It was one of the Dodge Sprinters with the high ceilings and it had the decals of several well known companies on the side of it; Clif Bar, Brooks, Pro-Tec… and the name that was about to take over the interest of the Appalachian Trail Community: Scott Jurek. Jurek’s van in our parking lot on May 27th. Scott Jurek is an ultramarathoner and the New York Times best selling author of the book Eat & Run. He has won more ultramarathons than one can count and, in 2010, he set the record for the longest distance run by an American in 24 hours; 165.7 miles. Scott has a string of unimaginable feats and now he’s really outdone himself. A typical set up for what Scott carried during a day of hiking. 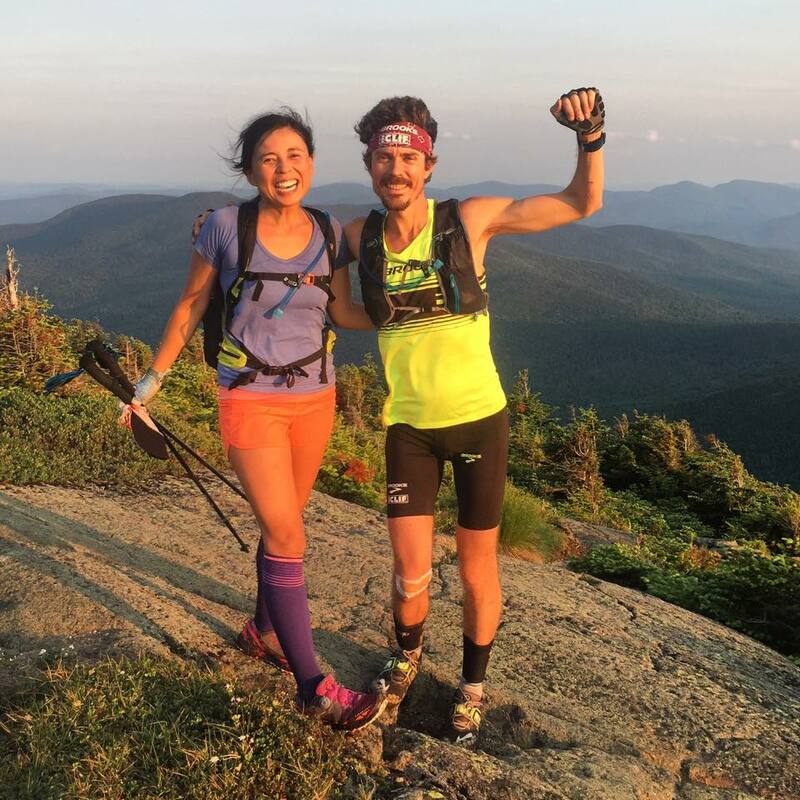 On July 12th, Scott Jurek broke the speed record for assisted thru hike of the Appalachian Trail, toppling Jennifer Pharr Davis’ record by 3 hours. It was 46 days, 8 hours, and 7 minutes of exhilaration, torture, triumph, despair, beauty and pain followed by a sense of accomplishment so extraordinary that many of us will never know the half of it. Scott started his journey on May 27th, passing through Mountain Crossings a little over half way through his first day. At Neel Gap (mile 37.1) he checked in with his wife, Jenny, who was manning the van and surely crushed a few protein bars and bottles of water before heading on for Unicoi Gap (mile 52.9). This was his routine for a month and a half. 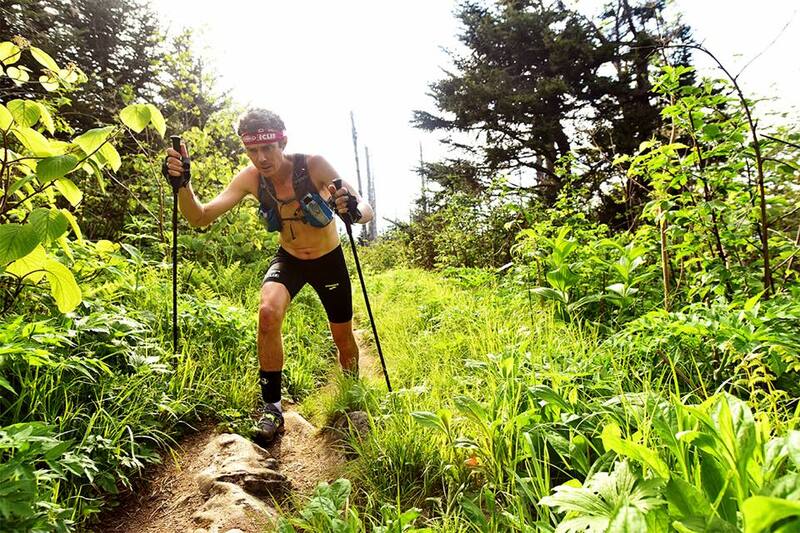 He essentially ran an ultramarathon every day in order to complete his goal! 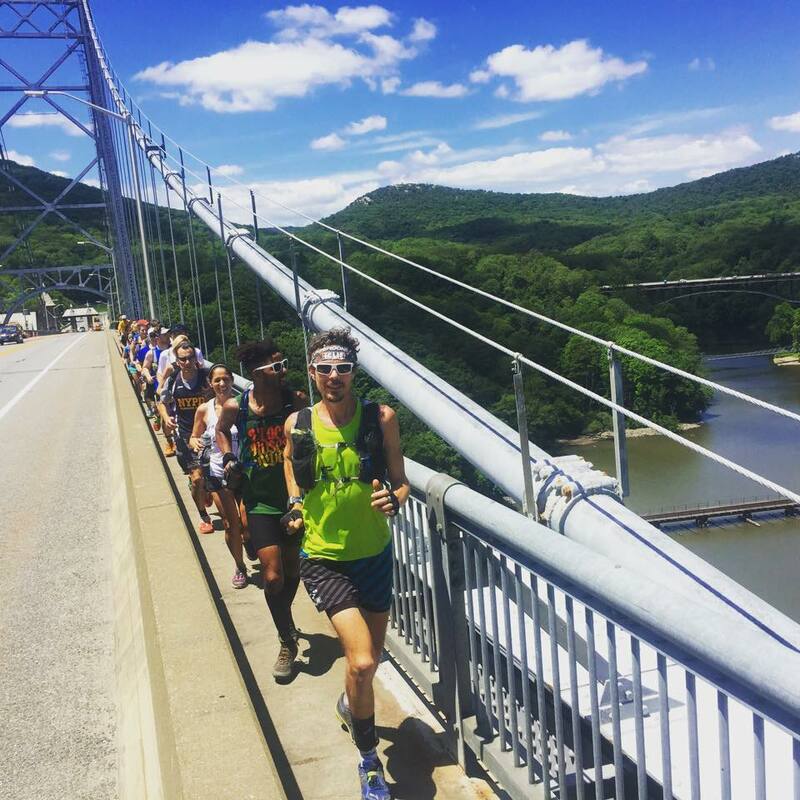 Fans and friends run with Scott in support as he crosses the Hudson River in New York. It wasn’t easy. He had a few minor injuries that put him behind schedule a time or two. Even as he was closing in on Katahdin, the record seemed elusive. On Sunday afternoon, Twitter was ablaze with folks awaiting the big news. Under the hashtag #SJAT15, there were innumerable posts per minute cheering him on and begging for updates. By 2:15pm, the deed was done. 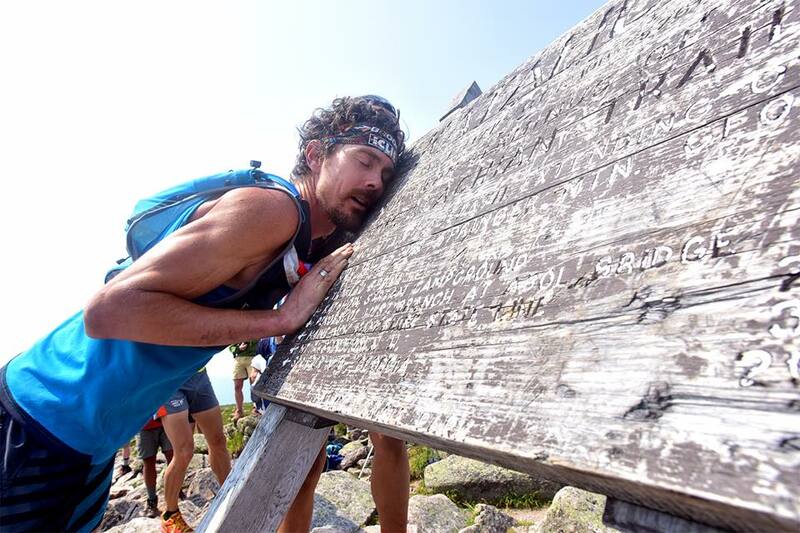 Scott Jurek was the new record holder for the fastest time thru hiking the Appalachian Trail! Scott and his wife Jenny on a mountain top in Maine. This entry was tagged appalachian Trail, backpacking, Eat and Run, mountain crossings, Neel Gap, Scott Jurek, Speed Record, Supported Hike, thru hiking. Bookmark the permalink.